Fancy dark chocolate, moulded in the form of apple, which is folded of separate thin cantles. 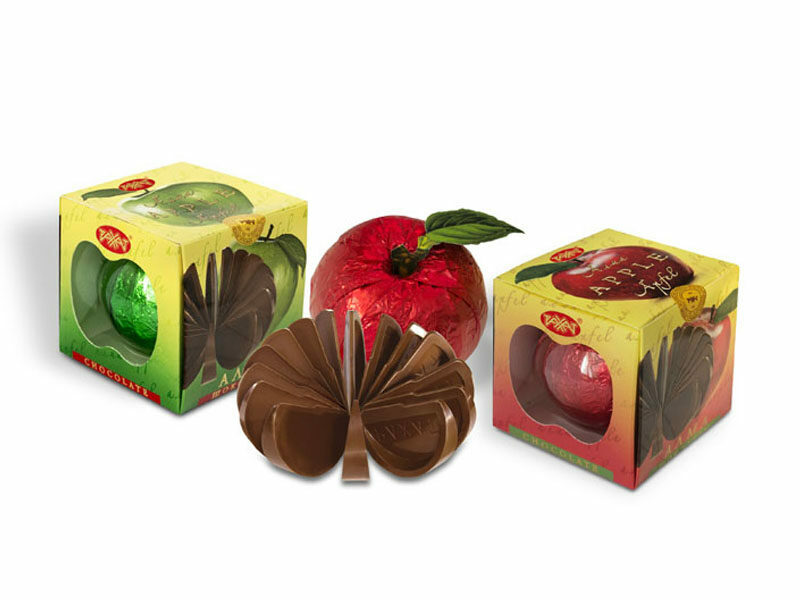 Chocolate apple is wrapped into the colored foil and packed into the colorful cardboard box with holes. Ingredients: sugar, cocoa mass, cocoa oil, emulsifiers: soy lecithin, Е476, E492; aromatizer is identical to natural, extract of natural vanilla is intensifier of taste and smell. Storage temperature is (8-23)°С, relative air humidity should not exceed 75%.